Has anyone ever said to you “can’t I even get mad?” Have you ever said that to someone else? Well, is it OK to be angry? There is such a thing as a healthy expression of the emotion of anger, and something that seems like anger but is really just abuse. 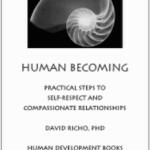 Dr. David Richo shares excellent guidance in his book, How to Be an Adult in Relationships, about many aspects of what healthy relationships do and do not look like. The following summary, from Dr. Richo may be extremely helpful to anyone that is experiencing anger in their life. These are all forms of addressing, processing, and resolving. These are all forms of avoiding one’s own grief and distress. Blaming is censure with an intent to shame, humiliate, and show that someone is wrong. In assessing accountability the intent is to right a wrong and restore a balance. In mindful adult living, no one is to blame and everyone is accountable.